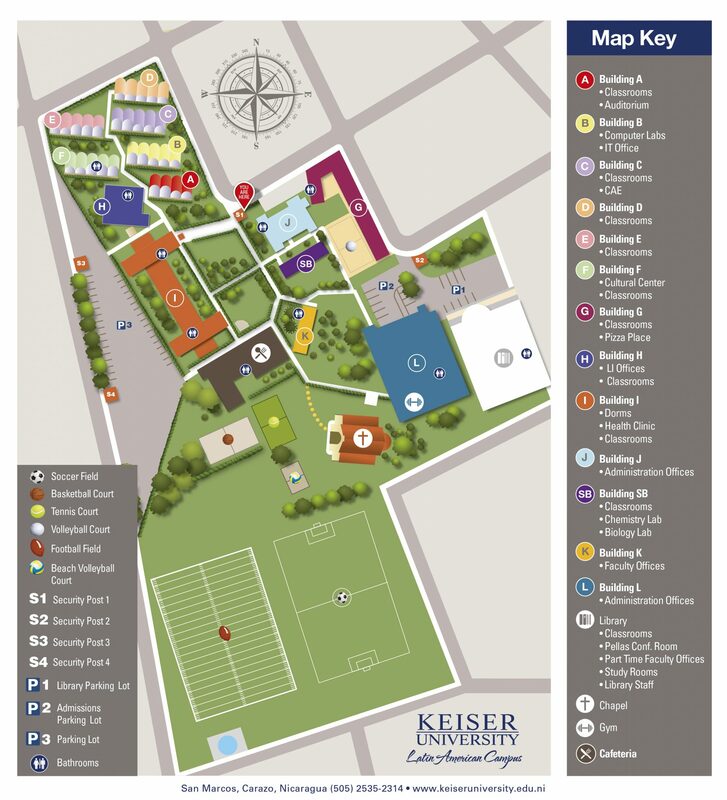 At Keiser University Latin American Campus, our costs are competitive with other private American universities. More than 90% of our students receive financial aid! Our Financial Aid Office is committed to help you understand how the financial aid process works and how to make your education affordable. Keiser University has been approved as an eligible institution by the United States Department of Education to participate in Federal Financial Aid Programs. Please note students must be citizens or permanent residents of the United States in order to be eligible for Federal funding. Keiser University has a series of Institutional and Federal Aid programs available to students who qualify. Keiser University maintains a full-time Director of Financial Aid at each campus to help meet your needs. You’re encouraged to make an appointment with the Financial Aid department to ensure that you obtain the funding needed for your educational investment. Financial aid is disbursed (released) to students in different ways depending on the type of aid and other factors. For more information about method and frequency of disbursements, contact the Financial Aid department. The main criterion for receiving grants is substantial financial need. Grants do not have to be repaid unless a student becomes ineligible. Students must maintain satisfactory academic progress as defined in the Keiser University Satisfactory Academic Progress Policy. The Federal Pell Grant is a federal grant awarded to students on the basis of financial need and does not have to be repaid. These grants are considered the foundation of federal financial aid, to which aid from other federal and non-federal sources might be added. Pell Grants are only awarded to undergraduate students who have not yet earned a bachelor’s or a professional degree. In order to apply for a Pell Grant, students must complete a Free Application for Federal Student Aid (FAFSA). The U.S. Department of Education uses a standard formula to evaluate the financial information provided on this application to determine a student’s eligibility for a Pell Grant. The award amounts vary based on a student’s financial need, an institution’s cost of attendance and enrollment status. Keiser University participates in the federal student loan program which allows students and their parents to borrow money to help meet their educational costs. Educational loans MUST BE PAID BACK with interest. These loans have low interest rates and offer flexible repayment terms, benefits, and options. Subsidized Direct Loans are loans for undergraduate students with financial need. Repayment begins 6 months after a student graduates or is no longer enrolled at least half time. The interest rate on Federal Direct Subsidized loans borrowed by undergraduate students between July 1, 2013 and June 30, 2014 is 3.86%. If a student qualifies, the maximum amount of a Subsidized Stafford Loan is $3,500 for first-year students, $4,500 for second-year students and $5,500 for third-year and fourth-year students. Unsubsidized Direct Loans are loans for both undergraduate and graduate students that are not based on financial need. Interest is charged during in-school, deferment, and grace periods. The interest rate on Federal Direct Unsubsidized loans borrowed by undergraduate students between July 1, 2013 and June 30, 2014 is 3.86% and the interest rate for graduate/professional students is 5.41%. You are charged interest on this loan from the time the loan is disbursed until it is paid in full. If the interest is allowed to accumulate, the interest will be added to the principal amount of the loan and increase the amount to be repaid. If a student qualifies, the maximum amount of an Unsubsidized Stafford Loan is $6,000 for firstand second year students, $7,000 for third and fourth year students, $20,500 for graduate students. Award amounts are dependent upon a student’s dependency status on the Free Application for Federal Student Aid. Federal Direct PLUS Loans are low interest loans available to parents of dependent undergraduate students and graduate and professional students. It is an affordable, low-interest loan designed to help students and parents pay for a college education. The Direct Plus Loan is an unsubsidized loan, meaning that interest accrues while the student is enrolled at least half-time and during deferment periods. A mandatory credit check is completed as eligibility for this loan depends upon the borrower’s credit worthiness. Repayment of principal and interest begins 60 days after the loan is disbursed. The interest rate on Federal Direct PLUS loans borrowed between 2013 and June 30, 2014 is 7.9%. For more information about Alternative Loans, contact the Financial Aid department. We are Veteran-Friendly! For more information about GI Bill for U.S. Veterans, contact the Financial Aid department. For more information about Florida Prepaid College, contact the Financial Aid department. The Franciscan Scholarship: This is a need based grant and the award criteria considers the family‘s income, the distance the student must travel to the college and the family‘s educational expenses for other children. The Aquinas Scholarship: This is a “merit” based scholarship and the award is based on criteria considering academic achievements, participation in community service, or school leadership organizations, and artistic or athletic ability. The Pastoral Scholarship: This is available for students who are committed to the community through community service programs and social outreach, and that demonstrate financial need. The scholarship will be opened to students from any high school. All applicants must submit letters of recommendation from their high school principal or director. Scholarship recipients will be chosen based on the Pastoral Scholarship Committee‘s assessment of the student’s potential to enhance community service. Pastoral Scholarships are renewable for up to four years and will cover up to an equivalent of 80% of tuition and fees and room and board. Academic Leadership Scholarship: This is available for U.S. Citizens and Residents who have a minimum cumulative high school GPA (grade point average) of 3.2 or 86%. Recipients are required to be enrolled full-time and maintain a minimum cumulative GPA of 3.2 or above. US Income Tax or Income from outside the U.S.
Parents’ US Income Tax or Income from outside the U.S. The Scholarship Committee will review case by case and will provide an answer to the student. We are here to help you! Our office is open Monday through Friday from 8:00 am. to 5:00 pm.